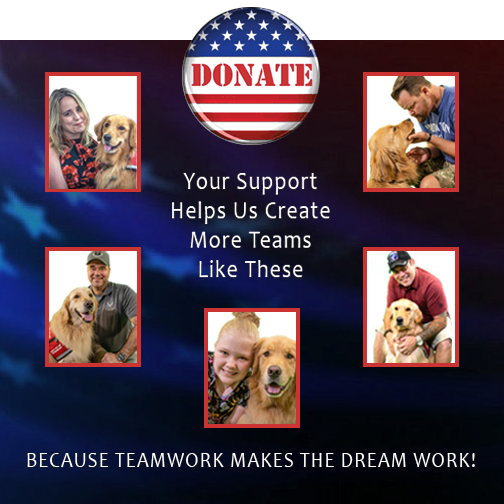 Our Mission Statement: Golden PAWS Assistance Dogs is a 501c3 nonprofit organization that promotes independence for combat wounded veterans and children with life-changing disabilities through partnerships with skilled assistance dogs. 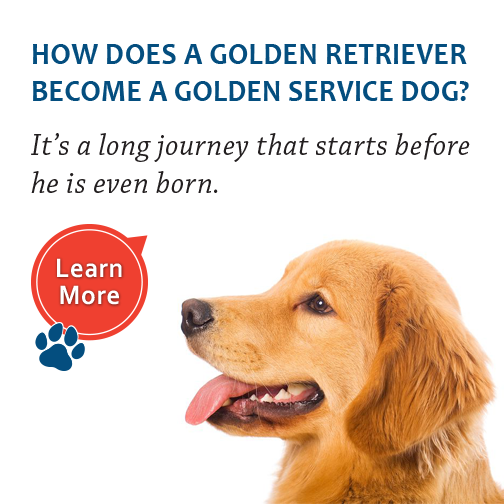 Vision Statement: Golden PAWS Assistance Dogs are always placed at no cost to those they serve. Golden PAWS Assistance Dogs provides education and community outreach in support of the mission through therapy and ambassador dog programs. 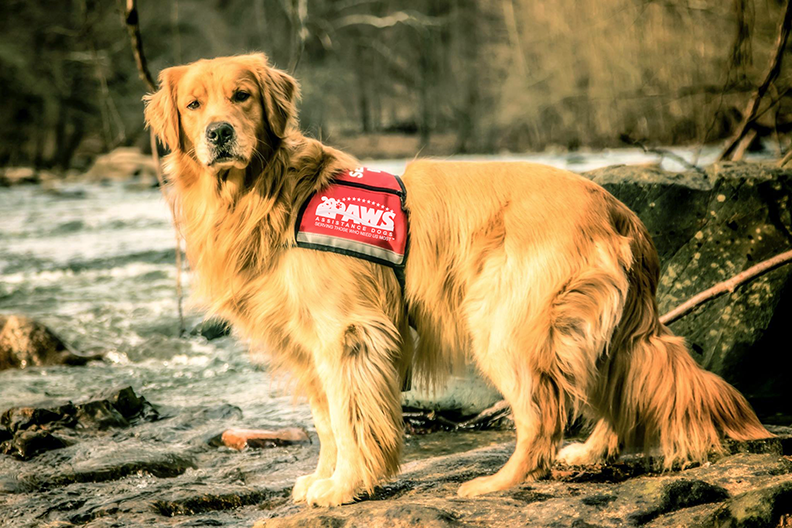 Golden PAWS Assistance Dogs is a respected and sustainable organization that creates meaningful impacts for service dog recipients while making lasting contributions in support of our community and those we serve. Our extraordinary Golden Retrievers are the common denominator in all our work. Standard of Performance: While 95% of our service dogs are placed with combat wounded Veterans, not all will achieve the level of physical and emotional stamina required to serve these heroes. We then consider alternative placements with children or other individuals when the placement will enhance quality of life.